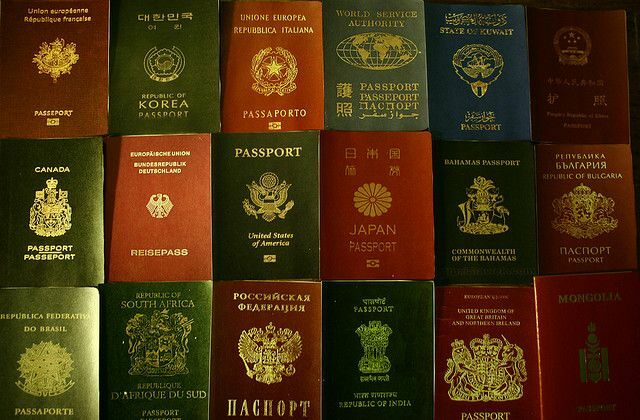 How powerful is your passport? How many doors, in airports and seaports and border crossings around the world, can it open? How much freedom of movement does it offer you? People are travelling more often to more places around the world. People are migrating more than ever, in order to work and live in a new country and improve the quality of their lives. When travelling or migrating, your options depend on your passport. Some passports offer you visa-free entrance to a large number of countries. Others require visas in many countries, which means less freedom of movement and more time and money spent getting a visa stamp. Or being denied that visa. The Henley & Partners Visa Restriction Index: This index ranks countries by the degree of travel freedom their passport-holders enjoy. It is compiled with data from IATA (the International Air Transport Association) who have an extensive data base on world travel, including visa regulations around the globe. Passport Index: This index is compiled by Arton Group, an investment advisory firm for high net worth individuals who are interested in investor immigrant programs in countries around the world. Comparing the two indexes produces some surprising differences. Which index suits your needs better? It’s an interesting question, and depends if you are interested in investor visa programs or are looking to migrate as say, a skilled worker or family member. Let’s dig a little deeper and try to understand the sometimes shocking differences in the rankings these two passport indexes come up with. While both countries rank close together in each index, they rank higher in the Henley & Partners index. In the Arton index, Ireland ranks 2 spots lower, and Canada ranks 3 spots lower in the investor-focused index. In Canada’s case this is likely due to the recent cancellation of the foreign investors program which does not help in an investor-focused index. That means that your investment funds are not as welcome in Canada anymore, and that means less freedom of choice for those choosing where to invest and live. Ireland’s lower position on the Arton index may in part be due to their European bail-out and slow slog out of recession. Having said that, both countries rank near the top of both indexes. You would think that a South African passport in the post-apartheid era would open as many or more doors than a Venezuelan one. Think again. Venezuela is ranked about 15 spots ahead of South Africa in both indexes. The land of Nelson Mandela needs to sign a few more deals and open up a few more doors to ensure its citizens have at least as much free movement at as those from the land of Chavez. For now, the only continent that welcomes South Africans visa-free (aside from Bolivia and Mexico) is precisely South and Central America. India is quite the standout for a couple of reasons. In the Henley & Partners survey it’s way down there, in the same ranking group as the Dominican Republic and Uzbekistan. Apparently, the world’s largest democracy does not allow as many visa-free visitors into India as one would expect. And the rest of the world responds in kind. That is slowly changing and one hopes India will open up its visa regulations and rise in the rankings to a spot that makes sense for an emerging giant. Until then, India will continue to rank lower than oil-rich Saudi Arabia. At least in the investor-focused Arton survey, India is only two rankings behind Saudi Arabia. That is because it is ranked far higher than in the Henley & Partners index, where India is more than 6 rankings behind Saudi Arabia. As with India, China ranks far higher in the investor-focused Arton survey than in the Henley & Partners index. Philippines ranks about the same in both. That means that, in the Arton, survey China is almost 15 spots ahead of Philippines, while in the Henley & Partners index they are over 12 spots behind Philippines, near the absolute bottom of the rankings. Clearly freedom of movement to and from China, or even within China, still has a long way to go. But being an investor does indeed open up doors for a visitor to China. Maybe Aaron Cross, like all really smart people with some cash on hand, should have headed to Shanghai after getting “viraled-out” in Manila. You have to hand it to the British. If they are a nation of shopkeepers – as Napoleon famously said – they have done a fabulous job of keeping shop through empire, depressions, and wars. It is no surprise the UK sits at the top of both surveys as the British have always been about trade and commerce and free travel. Especially for the British themselves, of course. Conflict-ridden Iraq, on the other hand, is second to last in the Henley & Partners survey, only ahead of Afghanistan. Iraq does rank higher in the Arton survey, because of the oil wealth perhaps. Like the UK, the USA is all about business, and freedom of movement. As long as you keep filing taxes with the IRS: no matter if you’re meditating in Nepal, surfing on the Gold Coast, or enjoying your new home in Switzerland. In the Henley & Partners survey, the USA is ranked 2nd , along with Denmark, Germany, and Luxembourg. In the Arton survey they are 1st along with the UK. With the Palestinians, on the other hand, nothing is simple or easy. Do you write Territory? Or Territories? Henley & Partners goes for Territory, and makes you wonder if they mean the West Bank is not Palestinian. Arton goes for the second option and uses the plural Territories. Either way, a Palestinian Territory(ies) passport is near the bottom of both surveys. Perhaps someday this will all get solved. Until then, a Palestinian passport will open few doors in today’s world.